Former Major Leaguer Rafael Palmeiro began his second stint with the Texas Rangers starting with the 1999 season. 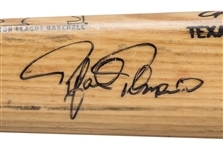 Palmeiro used this Louisville Slugger C271 model bat during the 1999-2000 seasons in which he averaged 43 home runs and 134 RBI, all while combining for a batting average of .306. 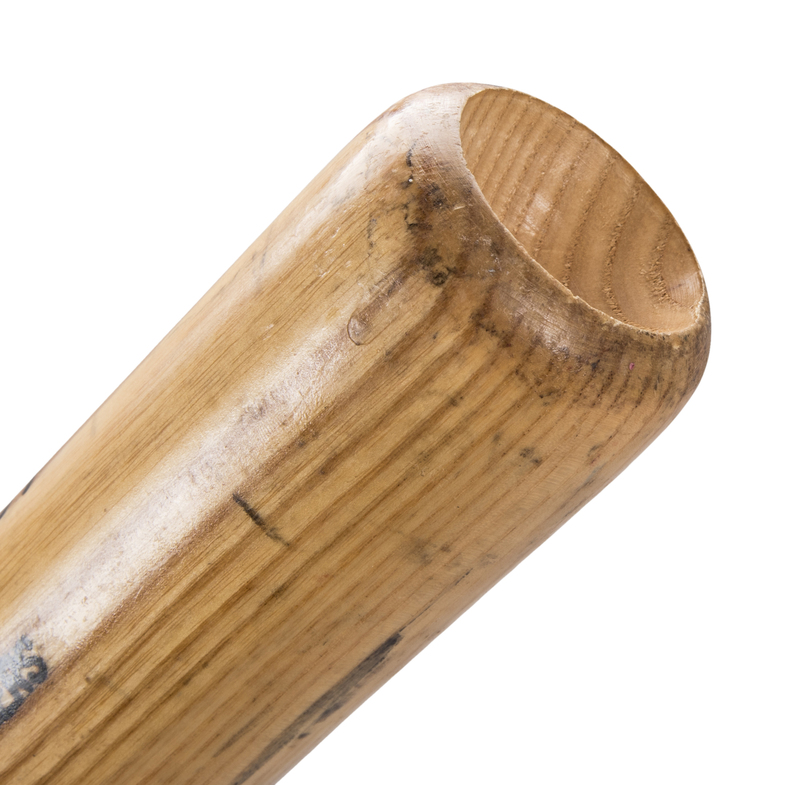 This bat displays good game use and is un-cracked. There are ball marks, stitch impressions and bat rack streaks present on the barrel. 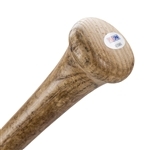 There is a heavy coating of pine tar on the handle to enhance the grip. Palmeiro has signed his name in black marker on the barrel. 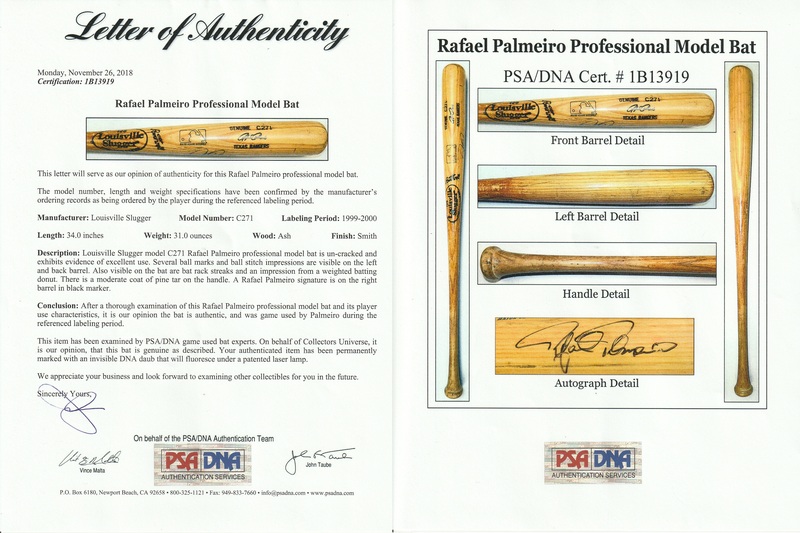 This bat comes with a LOA from PSA/DNA (1B13919) for the game use and a COA from PSA/DNA (AE55800) for the signature.